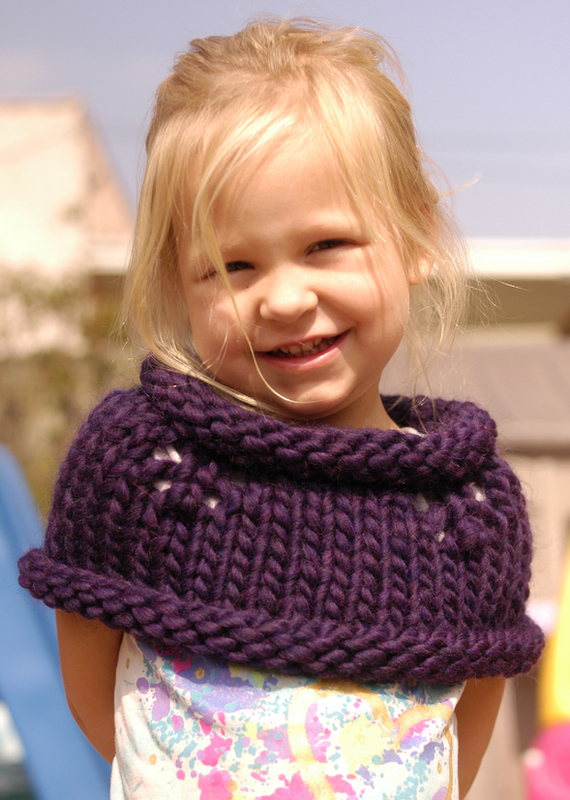 This capelet is a 2 skein variation of Magnum Capelet #1. 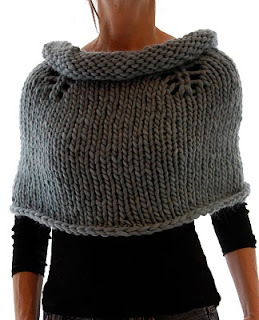 Featuring a wider more open neck with a thicker roll, this capelet is also roomier in the shoulders and chest. Kids version included in pattern. One skein will make one each of the sizes with very little yarn left. The smaller one fits 24-30mo's & the larger fits 4-6yo's. 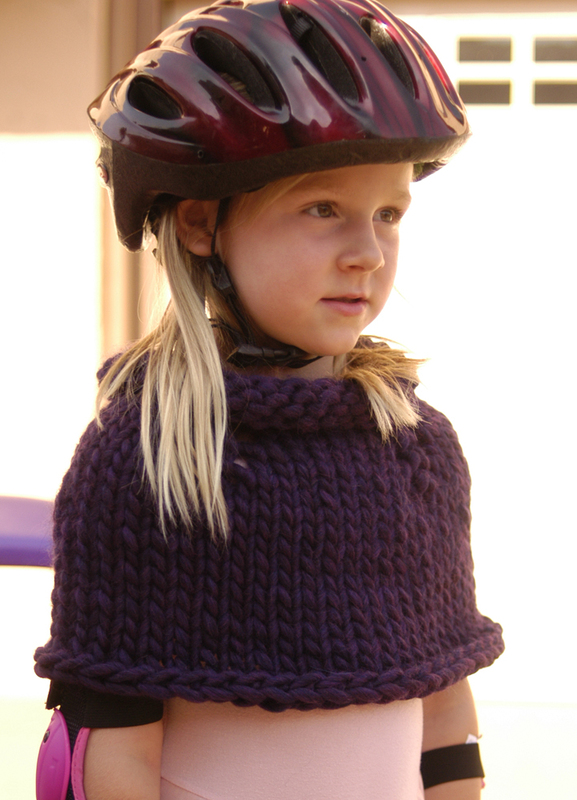 Yarn used: between 1.5-2 skeins of Cascade Magnum depending on length (180-246); 1 skein (123yds) for kids. #19 circulars 24"-29" in length; #17, 24" for kids version. Gauge: 1.5sts = 1"; kids version: 2sts = 1"